Life is a journey of several emotions, feelings, expectations, reality, achievement and failure. It's not about falling down, but, its about getting up again. 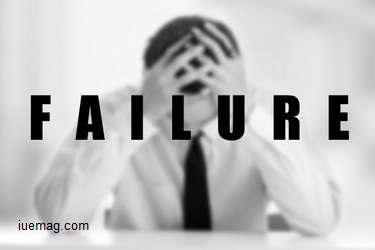 Every person has his own story of success, but, nobody knows that it is made of several failures too. Nobody can achieve success without failure, as failure teaches us to take steps towards success. People often misunderstand failure as demotivation, but very few are there, who take it as a lesson and step forward in their life. For example, we can relate it to a famous story which we use to hear in our childhood, of a soldier and a spider .After getting injured in a war, there was a soldier who hid himself in a cave nearby. He was taking rest there, when he saw a spider which was stuck in its web. The spider was trying to get out of the web but it was unable to do so. It tried several times but every time it would fall down but it dint leave hope. It tried again and finally, it was successful in doing it. It inspired the soldier a lot and he also decided to get up and fight, rather than hiding somewhere. Life is also like this. We should not hide from our problems or mistakes, rather, we should face it and solve it. Failure is nothing, but, god’s own way of telling us that either you can do much better or you deserve something better than what you have.